We’re excited to have the opportunity to introduce you to the joys of aviation. To find out if becoming a pilot might be for you, we recommend trying a Discovery Flight. It’s an excellent, no-pressure way to be introduced to flying. We strive to give you a positive and encouraging experience, and the best part: you’re the one who will be flying the airplane! (With one of our experienced flight instructors, of course). Call one of our three Southeastern Wisconsin locations to schedule your Discovery Flight; it makes a great gift for a loved one or for yourself. It’s only $99.00, payable by cash, check or credit card. Your instructor will show you around the airplane, answer any questions you may have, and will also provide a basic overview of the airplane components and the flight training process (if you like). With your instructor’s help, you will slip the bonds of earth for a 1/2-hour flight where you’ll be guided through climbs, turns, descents and an approach to landing. Your capable CFI will keep the flight safe and fun, and all Spring City airplanes have full dual flight controls. Once you’re back on the ground, your instructor will answer any questions you might have. That’s it! We don’t give you the hard sell, because we know that we’re representing a product which sells itself! When the passion for aviation takes hold, it’s very hard to resist, and we’ll be ready if you decide to pursue your pilot certificate. 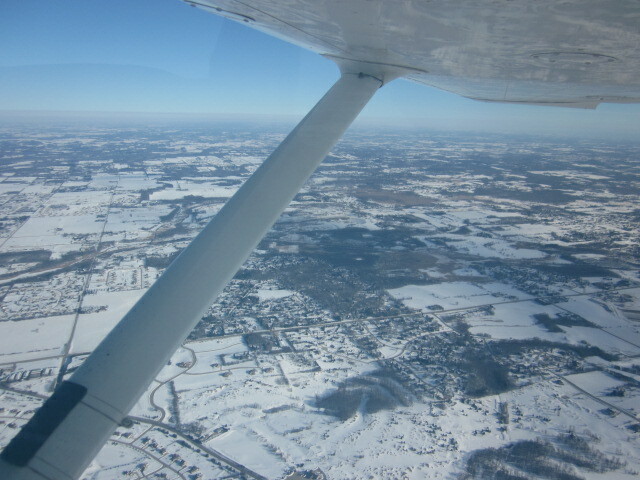 Even if you don’t choose to begin flight training, you’ll take away a great experience and memories to last a lifetime. Contact us today to schedule your Discovery Flight! Get your Discovery Flight Certificate for Waukesha County Airport here! You’ll be redirected to Paypal where you can make your payment (you can still pay with a credit card if you do not have a Paypal account). Upon payment, you will be able to download your certificate. Prior to presenting your certificate, please print it and add the Order number in the appropriate spot (this number will be shown after payment and in the confirmation email you’ll receive). Then, just call the phone number listed on your certificate to schedule your adventure!